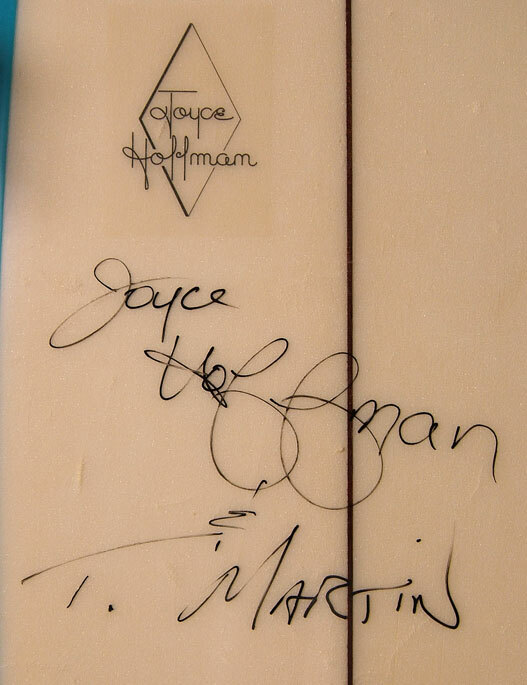 Joyce Hoffman was the first female surfer to get her own signature model surfboard. Step-daughter of Walter Hoffman and niece of Flippy Hoffman, in 1964, Joyce wins the Makaha contest and her first Surfer Poll Award. The next year she wins her first World Championship and will dominate the women's division for the next 3 years, making the cover of Life Magazine and getting profiled in Sports Illustrated, while doing so. In 1968, she also becomes the first documented female to surf Pipeline. In 1969, the Los Angeles Times names her "Woman of the Year", the only surfer to ever hold this distinction. 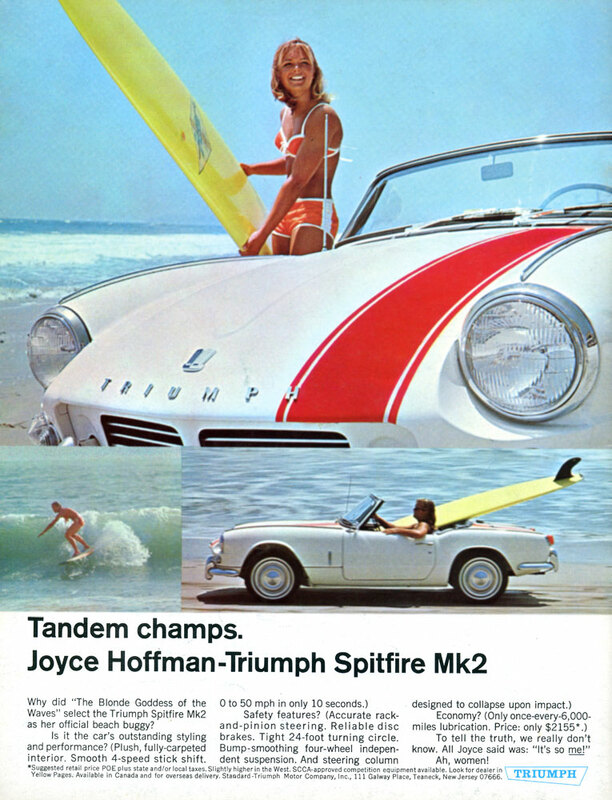 She takes 4th at the 1970 World Championships and wins the 1971 United States Championships, but surfing soon falls to other competitive passions. She picks up motocross racing and later auto racing before a crash sidelines her aspirations on the track. Joyce was inducted into the Huntington Beach Walk of Fame in 1994. Don Granata recently donated a Hobie Joyce Hoffman model along with a fin signed by Joyce. 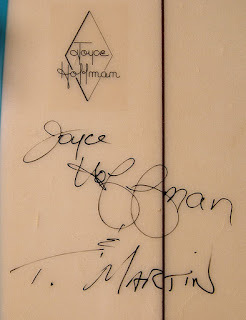 The board was signed by its shaper, Terry Martin as well. I was acquainted with Joyce and also Skip Frye when I was at Brian McCall's Surfing Camp in 1968. Both were very gracious with a 14 year old gremmie like I was back then. I bought one these new when I was 15. It was very light (only a single 1/8" stringer) and maneuverable for the time. It had a step deck and a small flat area on the bottom side of the nose. A great nose rider. I bought a Joyce Hoffman from my next door neibor Patty Young. Patty was a random rider at the time. It was 1966, I was 12 and surfed Doheny regularly. I loved this board! Sured Poche from time to time and every once in a while I would see Joyce Hoffman surfing in front of her home on the water a couple 100 yards north. Man she ripped! I was fortunate enough to surf with Patti and Joyce a lot. I remember Joey Hamasaki and Linda Skinner use to surf so great. I remember all the boys from Doheny. It was the best.